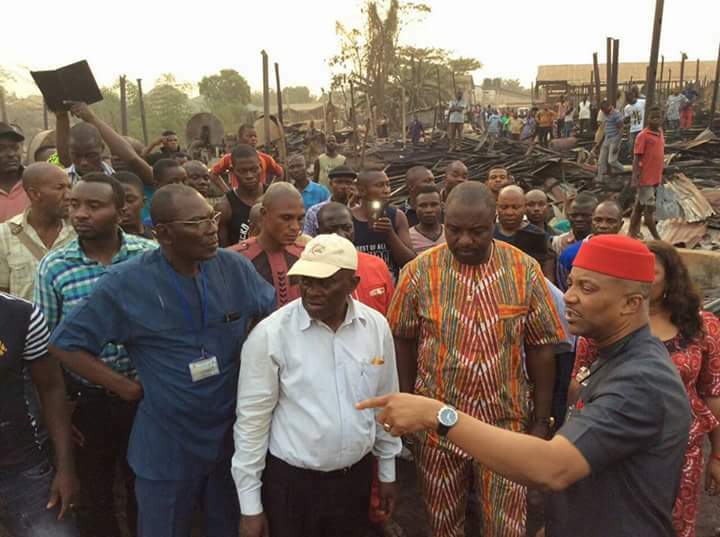 The Anambra State Government has promised to ensure the establishment of fire service stations in major markets across the State to avert massive loss of property in cases of emergency fire situations. Over one hundred and fifty shops were gutted by the inferno which was said to have begun Wednesday night. 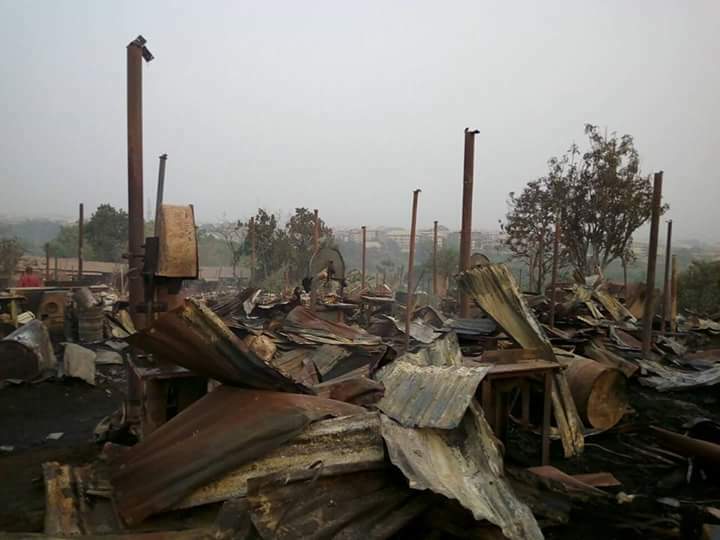 Many heavy duty timber cutting machines, as well as multi-million Naira worth of timber goods were consumed in the inferno which cause is yet to be established. While thanking God that no lives were lost, Governor Obiano said the loss is a huge one for the State as the market is one of the major revenue windows of the State government. 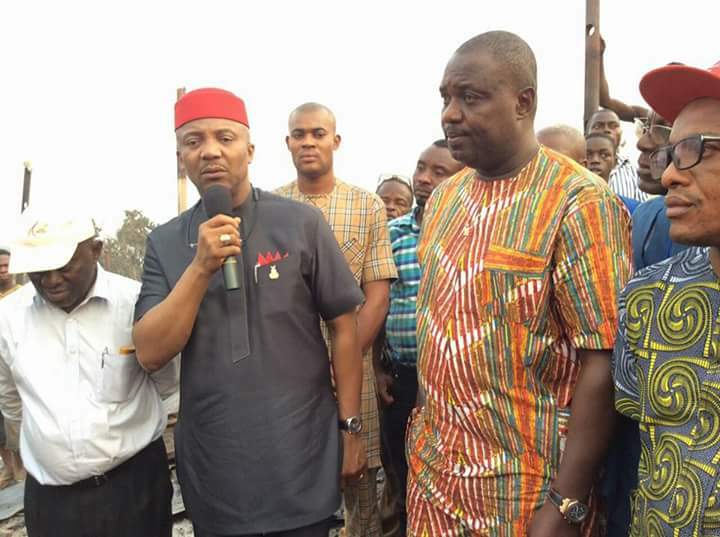 Speaking through his Deputy, Dr Nkem Okeke, the Governor who stressed the need for the traders in the various markets across the State to make insuring themselves and their goods a norm, noted that with such in place, settling the cost of emergencies occasioned by fire outbreaks will be much easier. The Governor further advised Ndi Anambra not to wait for government to do everything for them, but to always assist one another especially in the midst of the economic downturn, as according to him, government can't do everything on its own, pointing out however, that the State government will do the much it can to help alleviate the pains of the loss. 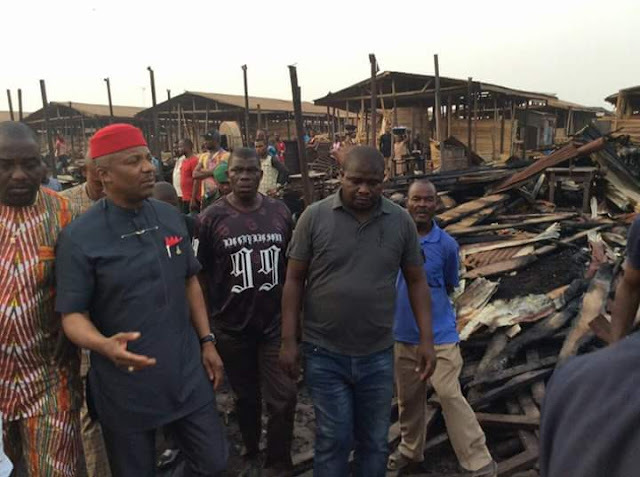 Earlier, the Vice President, Anambra Traders Association, and Nnewi Market Leader, Chief Gozie Akudolu, solicited the support of the State government and well meaning individuals, to prevent possible reoccurrence, regretting that such fire incidents have become an annual occurrence in the Nnew Timber Market. While calling for the institution of a panel of enquiry into the remote and immediate causes of the fire outbreak, Chief Akudolu regretted that though no lives were lost, many of the affected traders are in different hospitals due to the shock occasioned by the of loss. 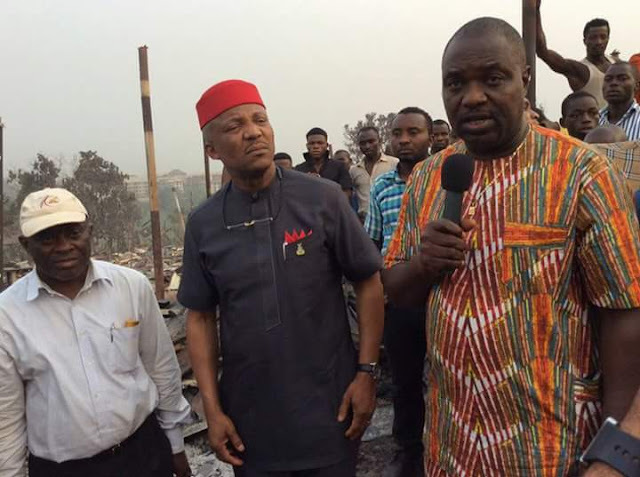 The Special Adviser to the Governor on Efficiency and Board of Internal Revenue, Ogbuefi Melie Onyejepu, who was on ground to receive the Governor, appreciated the State government for coming to the immediate rescue of the traders through the State fire service, calling on the traders whose goods and property were razed, to take heart and brace up to start again, as the tragedy is not in itself, the end of life. 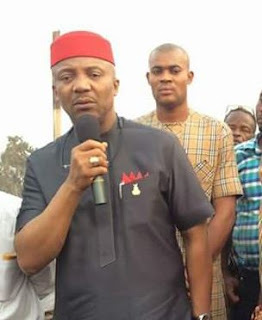 Also on ground to receive the Governor were the Executive members and stakeholders of the market association, as well as a mammoth crowd of traders and sympathizers.